In New Jersey, an individual can be charged with a crime if he or she makes a threat to commit an offense of violence with the intent to terrorize another person or persons. Threats made with reckless disregard for the risk of causing terror are also criminal. Whether a case involves domestic violence or another personal conflict, threats to damage property, or a forced evacuation sparked by fear, the Law Offices of David Jay Glassman stands ready to help. We advocate for the rights of individuals accused of communicating terroristic threats, mounting strong defenses and actively pursuing favorable resolutions. Threats of death or violence — Making a threat of murder that puts someone in reasonable fear of imminent death is a crime of the third degree. The same is true for threats of other violent crimes. For example, saying “I’m going to kill you” can be criminal if the person who says it has been violent in the past. If convicted, an offender may be ordered to pay up to $75,000 and may receive a prison sentence of three to five years. Evacuation or public inconvenience — If a threat of violence causes the evacuation of a building or place of assembly, or is disruptive enough to otherwise cause public inconvenience, the offender can be charged with a third-degree crime. In addition to a fine and a prison term, the defendant may be ordered to pay restitution for the costs of the evacuation. Periods of emergency — When a threat of violence is made during a declared national, state or county emergency — whether in response to inclement weather, a disease outbreak or some other issue — it is a crime of the second degree. This is true regardless of whether or not the offender knew about the emergency declaration. The crime is punishable by five to 10 years in prison and fine not to exceed $250,000. We are capable of handling defense of all types and degrees of terroristic threat charges, whether made in written or verbal form or communicated physically or electronically. Intent is a crucial aspect of a terroristic threat charge. If a threat was made in the heat of the moment or in playfulness without any intention (or reckless disregard) of inciting terror or causing an evacuation or public inconvenience, the element of intent is not established. To be criminal, the threat must also be considered legitimate by a reasonable person. A person who makes an outlandish threat that is unbelievable to everyone would not satisfy the definition. We work to have unfair charges dropped or dismissed, and to obtain not-guilty verdicts when a trial is necessary. In instances where the prosecutor can present a strong legal basis for a criminal case, we will attempt to negotiate a plea deal that is reasonable and free of excessive punishment. 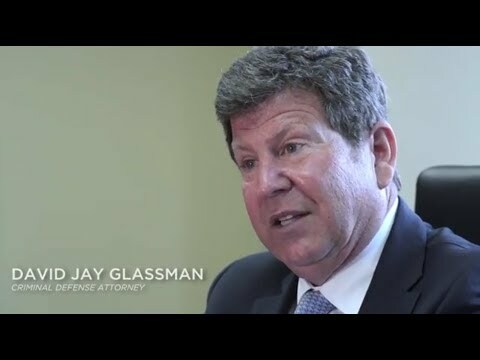 If you or a loved one has been charged of making a terroristic threat, the Law Offices of David Jay Glassman is ready to help. We develop our defense strategies meticulously with the goal of obtaining the most favorable outcome for each client. To schedule a legal consultation, call us at 866-221-1270 or contact us online. We have offices in Marlton, Hackensack, Newark and New Brunswick.